The 23rd of November 2010 will see the launch of H&M's collaboration with Lanvin in 200 stores worldwide. Alber Elbaz, artistic director of Lanvin, has designed two separate collections for women and menswear, as well as a selection of accessories. 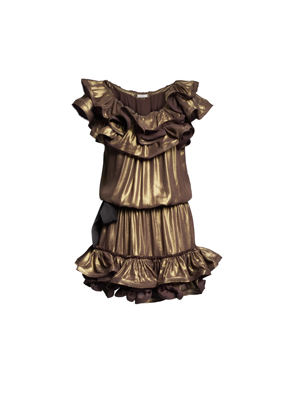 Staying true to the brand's aesthetics, Lanvin's collection for H&M includes pretty party dresses encase in ruffles and splashed with bright colours. There is also a beautiful selection of chic black pieces that will unleash the inner supermodel in any girl. My personal favourites from the collection? 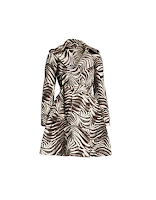 The t-shirt with the print of a woman's legs, complete with frilly tutu and embellished shoes; a golden, ruffled party dress in slinky lame material and a zebra printed trench coat. Prices start from £7.99. All material used can be found here.